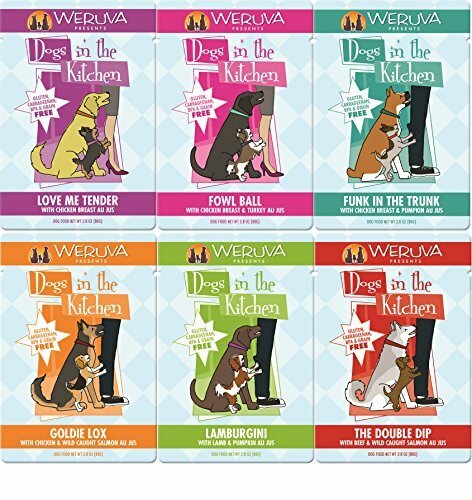 Dogs in the Kitchen - By Weruva (Variety Pack 2 of each flavor, 2.8 Ounce Pouches ) by Dogs in the Kitchen by Weruva at White Water Dog Park. MPN: 9462390. Hurry! Limited time offer. Offer valid only while supplies last. Pumpkin added for better digestion! Variety makes every meal exciting! Stew style wet dog food! If you have any questions about this product by Weruva, contact us by completing and submitting the form below. If you are looking for a specif part number, please include it with your message.